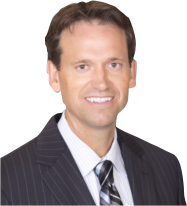 Gerald Alexander, MD, your board-certified and fellowship-trained Orthopaedic Spine Surgeon in Orange County, evaluates and treats spine disorders with emphasis on Minimally Invasive Spine Surgery. Dr. Alexander provides patients with individualized spine treatment options based on their condition, health, level of function and lifestyle. An expert in treating spine conditions, Dr. Alexander utilizes innovative technology and surgical techniques to alleviate pain, reduce recovery time and restore patient’s quality of life. Stop living in pain and get back to living an active life! To schedule an appointment with Dr. Gerald Alexander and to find out the right spine treatment for your condition, please call (714) 486-1071 or Request Appointment here.